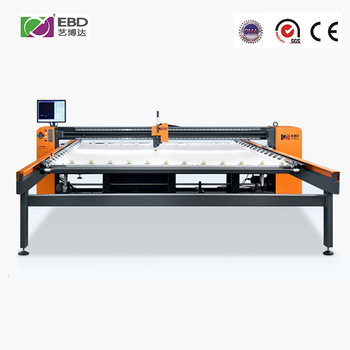 Machine body frame made with thick square tube welding structure,simple but with high strength, good rigidity and reliablestability. Driven by 4 servo motors to assure precise transmission and low failure-rate. Max 2800 rpm, with 1500-2000 rpm in continuous production. Stitches between2mm-6mm are adjustable. 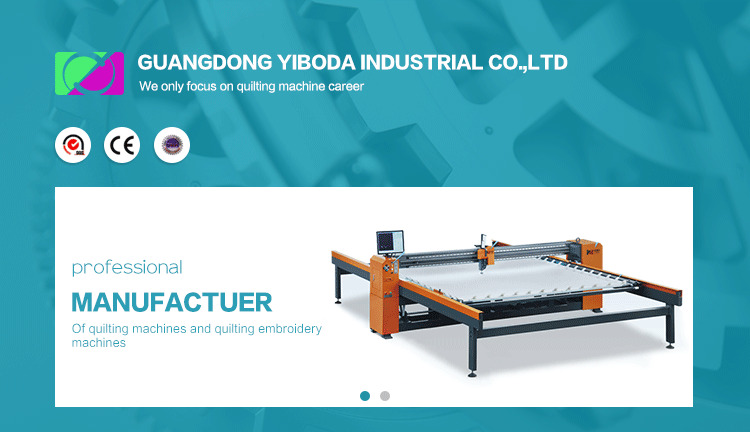 Using movable high speed cantilever sewing head, jumbo rotary hook andadjustable press foot, to meet diversified sewing thickness. 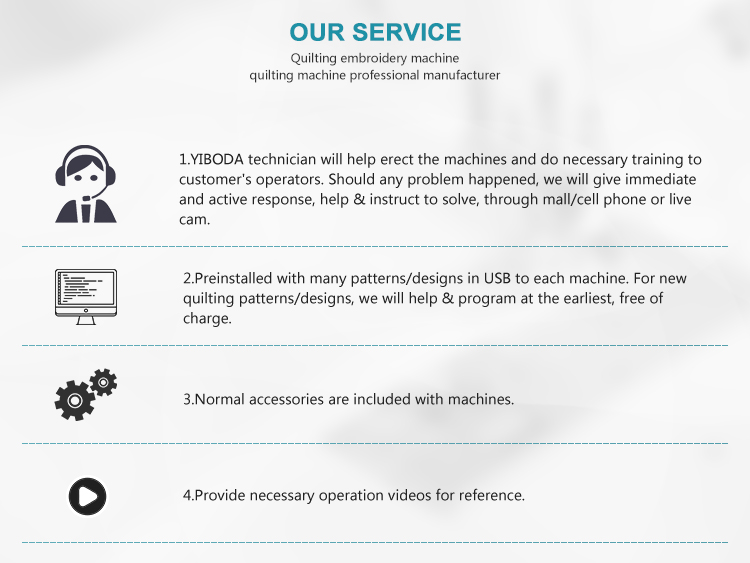 Equipped with break detector, it will automatically stop when thread breaks at broken spot, and sewing will continuous after threading again. Return patch-up at any spot is applicable. With simple operation system and straightaway XP editing software, easy to program and edit patterns. Real-time data such as pattern effects, sewing simulate movement and output etc can be shown on screen. Click here! Learn more about products.